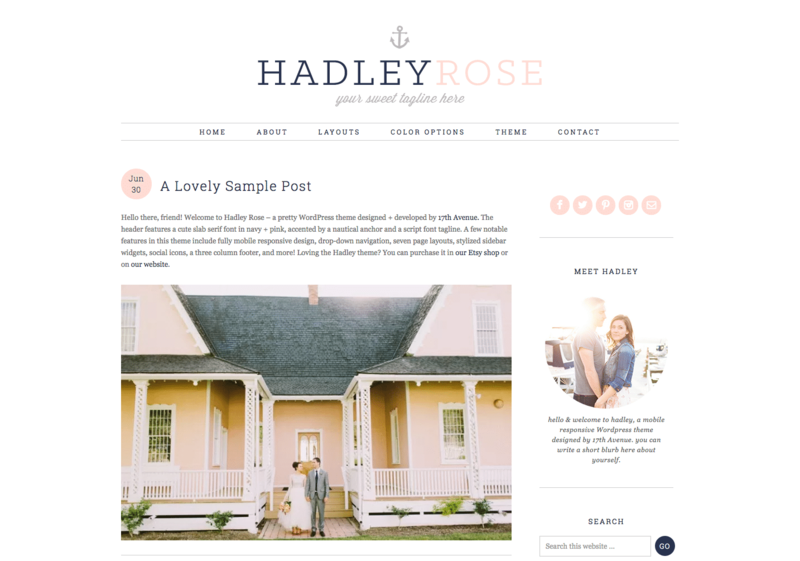 Magnolia’s minimalistic, stylish aesthetic is perfect for modern entrepreneur & bloggers. 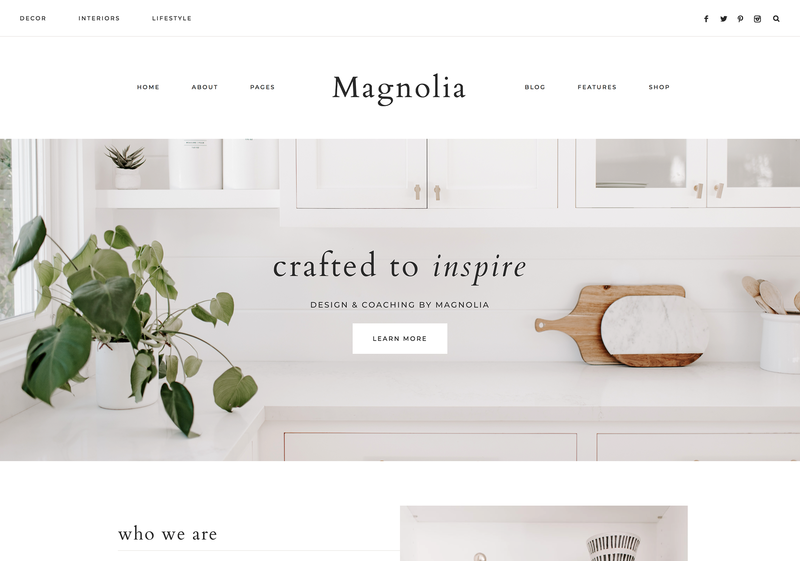 Magnolia is a simple, modern WordPress theme designed for business owners, e-commerce shops, and bloggers. The flexible homepage features full-width parallax images and gorgeous typography. Easily customize the layout, colors, & more to make Magnolia your own! WooCommerce ready. 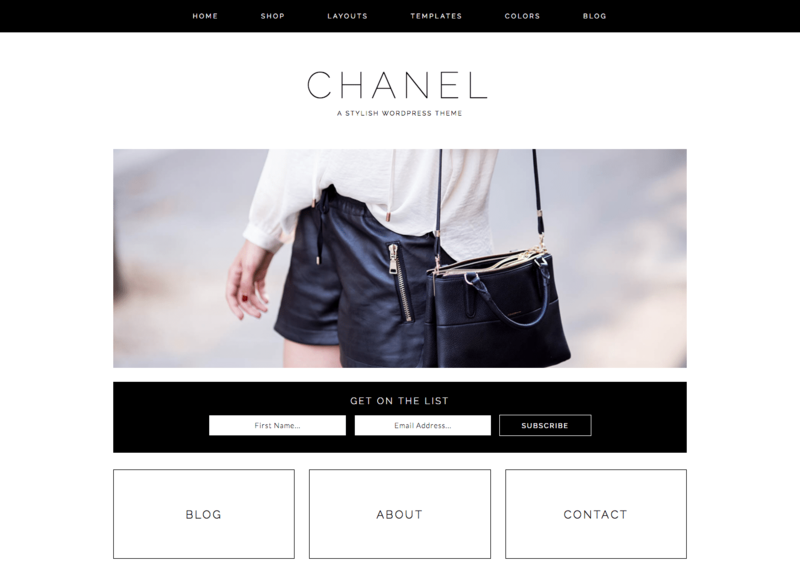 Easily set up a gorgeous shop right on your website! 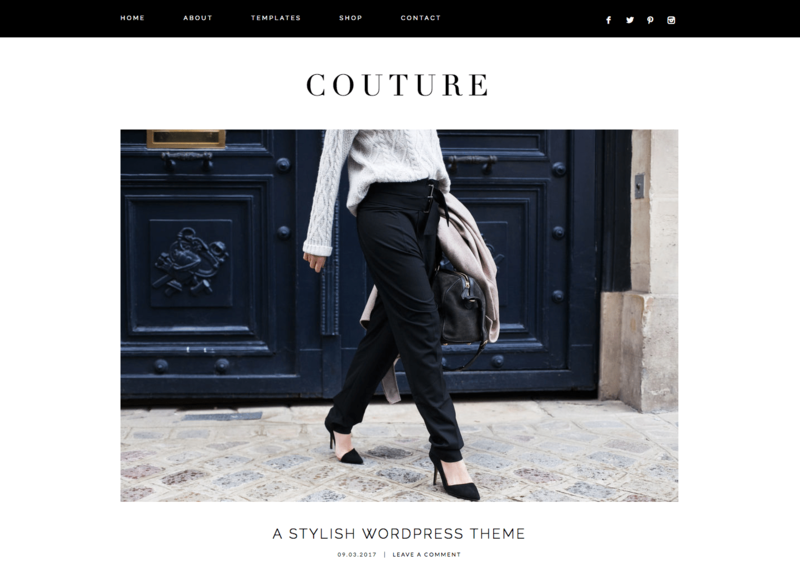 This theme requires a self-hosted WordPress.org website. Our themes are not compatible with WordPress.com. Want to start a website or blog on WordPress? Click here! Purchase your favorite 17th Avenue theme. After placing your order, you will receive an email with a link to download your new theme. Unzip the file to access the Genesis Framework and child theme inside. Follow the included Installation Instructions and Theme Documentation to set up the theme on your site. If you need help, our support team is always happy to answer your questions. Launch your beautiful new website! Sign up and be the first to know about exclusive sales, theme releases, & more!